After almost two decades of national research success, the MARCS BabyLab has opened its first ever international research partner laboratory. 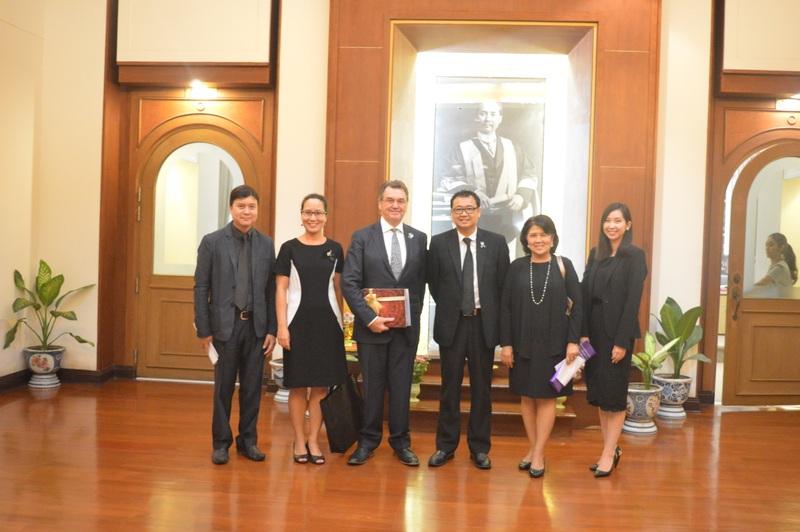 Earlier this month Western Sydney University and Thammasat University in Bangkok launched the research site and signed a Memorandum of Understanding to cement future research collaborations. The MARCS BabyLab is a world-renowned hub for pure and translational research on infant language development, and the MARCS-CILS NokHook BabyLab is the first ever infant research lab in Thailand. The new lab is a joint facility for research based in the MARCS Institute for Brain, Behaviour and Development at Western Sydney University (WSU), and in the Center of Excellence in Intelligent Informatics, Speech and Language Technology, and Service Innovation (CILS), Thammasat University. The MARCS BabyLab focuses on research areas such as early speech perception, word learning, communication between parents and their infants, and the precursors of literacy. CILS long-term focus on research will be in the areas of linguistics, engineering, and clinical applications such as hearing impairment in infants. MARCS BabyLab leader, Dr Marina Kalashnikova, said initial research at the NokHook facility will focus on investigating early language and cognitive development in babies and toddlers who are acquiring the Thai language. "The Thai language differs greatly from English in various ways, for example, unlike English it uses tones to distinguish the meanings of words, so it is interesting to investigate what language-specific processes take place when babies acquire this language," she said. "The lab is equipped with state of the art equipment that will allow us to conduct experimental research with babies in their first days of life. We have ensured that this equipment is identical to the equipment at our Western Sydney University based baby labs to facilitate cross-laboratory and cross-language comparisons. "This research will broaden our understanding of speech perception and language acquisition in infants." Research at the CILS facility in Thailand will be conducted under the guidance of chief investigator and linguist Dr Chutamanee Onsuwan from Thammasat University. The MARCS BabyLab is expanding its national and international profile with more centres due to open in the coming years.